Could Bill Belichick Leave the Patriots to Come Coach the Giants? 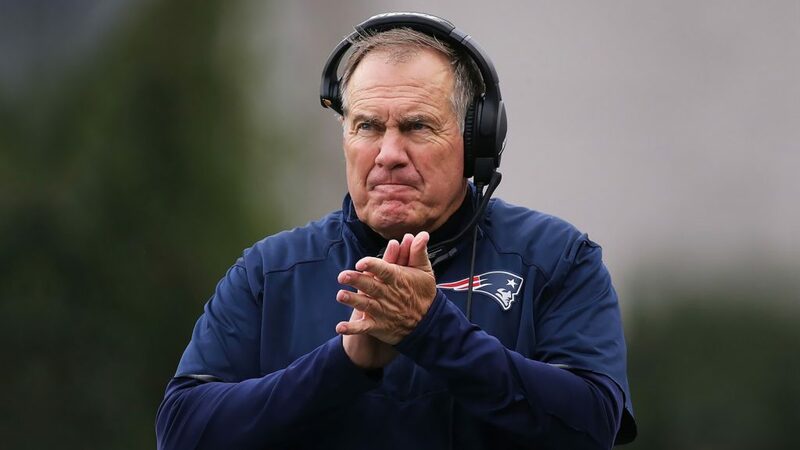 With a report of turmoil in New England involving Bill Belichick, Tom Brady and Robert Kraft, its possible that Belichick could leave New England and become the Giants coach, Gary Myers of the New York Daily News reports. The source has not spoken to Belichick since the story came out, but is very familiar with Belichick’s desire to coach the Giants. John Mara, Steve Tisch and Dave Gettleman must work their contacts to find out if Belichick wants the Giants head coaching job after explosive details emerged Friday in an ESPN story of a fracture in the relationship between Belichick on one side and Tom Brady and Robert Kraft on the other. Even though Belichick is 65 years old, he doesn’t seem to be burned out on coaching. He’s in his 18th season with the Patriots and in the first 17 has been to seven Super Bowls and won five and New England could be on its way to winning another on Feb. 4 in Minneapolis. Belichick, like most coaches, doesn’t enter the final year of his contract. It hurts recruiting free agents and it takes away some of their authority if the players believe the coach is a lame duck. In this case, I’ve heard Kraft specifically won’t allow Belichick to enter the final year because he’s been concerned he would go to the Giants.